Theatre gift vouchers are the perfect present for a passionate theatre goer. With a gift voucher, the recipient can choose their play, theatre and time at their convenience. Theatre gift vouchers are available to purchase from a few of our recommended theatre ticket websites. They can be redeemed at theatres across the UK includes the National Theatre in London, the Mayflower Theatre, Glasgow Theatre, Birmingham Theatre and plenty more. We suggest choosing one of the following retailers. 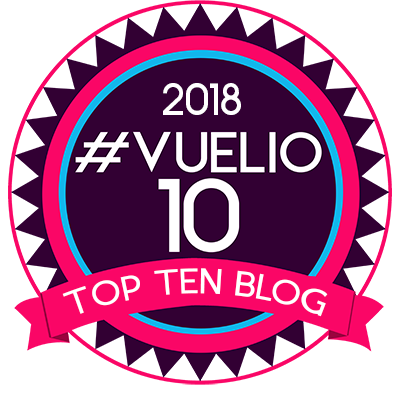 Their vouchers are valid on musical theatre, tragedies, comedies, romances, melodrama, political drama, histories, kids favourites… a plethora of genres. Red Letter Days are one of the most popular experience day and gifting websites online. With the gift voucher ordered, it can then be used for any theatre experience on Red Letter Days. With an ATG theatre gift voucher, this treat can be used in any of ATG’s 34 theatres across the UK including 9 in the West End of London. All you need to do is choose the amount to add on and provide a personalised message. ATG also sell different tiers of gift voucher. Pay a set amount to unlock exclusive offers (as an alternative to buying the normal gift card). Pay £45 for 12 months access to exclusive discounts, priority booking and member only events. Pay £95 for 12 months access to exclusive discounts PLUS six VIP experiences in an ATG Ambassador Lounge. The VIP experience includes a welcome drink, host and two free programmes. Theatre experiences come in range of different packages to suit your budget. You and your friend/family/partner could enjoy champagne on arrival with a full VIP experience. London theatre gift vouchers come in £10 denominations. To claim yours, simply enter the amount of money you wish to put on the voucher then add to basket. If you add £50 you’ll get 5 x £10 vouchers as an example. For vouchers to be redeemed, the recipient calls one of London Theatre Direct’s friendly agents who can advise on the best seats for the show they wish to see. Theatre gift vouchers at Encore Tickets come in £10, £20 and £50 denominations. Select your voucher then add to basket. 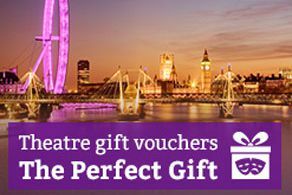 You’ve get free delivery (if living in the UK) with the gift vouchers redeemable for any of the West End shows or theatre breaks on the Encore Tickets website. The theatre gift voucher is presented in a unique wallet and dispatched quickly within 24 hours of placing the order. Amazon sells pretty much everything so if you need gift ideas for a theatre lover, going to Amazon should be towards the top of your to do list. If you dig deep enough on Amazon, you can find some useful sub headings – best sellers in theatre, hot new releases in theatre and most gifted in theatre . From these, browse the theatre gifts and add to your cart. With prime membership, you can get free next day delivery. Unsurprisingly, most of the best theatre gifts on Amazon are books. Here’s a selection of our favourite Amazon theatre gifts which includes many of the best sellers on the site right now. 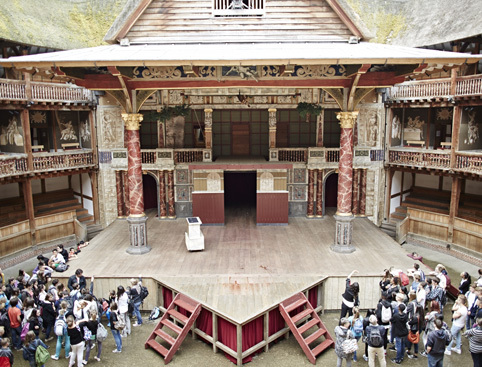 AttractionTix have a guided tour of the Globe Theatre where you can visit the world’s largest exhibition devoted to William Shakespeare. Take a journey back through time to Elizabethan London. Find out about Shakespeare’s Globe Theatre with interactive displays, live demonstrations and storytelling. A fantastic experience for couples and families. Tickets cost from £9 for children and £16 for adults with a special £1 saving on the gate price live right now. If you’re buying a gift for a theatre lover, there can be no better way to spoil them than a VIP experience day to their favourite show. LOVETheatre sell VIP packages with premium seating to make you, or your recipient, feel like a star. Loads of exclusive extras are included such as dinner at The Ritz, The Ivy, Le Caprice, Hix Restaurant and Balthazar Restaurant in London. To make it easy for you, here are the top VIP packages this week and the full list of VIP packages. LOVETheatre have the biggest range of VIP theatre experiences online. Experience Days is the UK’s leading experience gift company, offering over 3000 activities for just under 1000 companies – across the UK. You can buy gift vouchers that can be redeemed against any activity on the website. All vouchers are dispatched FREE immediately by email or posted in the mail. You can select either £25, £50, £100, £150, £200 or £250 from the Experience Days gift vouchers page then add to basket. Put the WOW in wowcher with some fantastic deals to buy as a gift for a theatre lover. You can save up to 50% on tickets to some of the best West End shows. Theatre deals might also be on the site for shows around the country. Ensure your location is accurate then search theatre. This will bring up the deals. If you’re on a budget, you might find exactly what you’re after on Wowcher.